Unlock new casino content and a new episode featuring Sazh in Serendipity. Complete the episode to gain Sazh as a battle ally. To access this content, enter the Historia Crux (available from Chapter 2 onwards) and select "Serendipity -??? AF-". A new outfit for Noel, based on the black mage from the FINAL FANTASY series. Select Outfits from the main menu to change clothing. New outfits will not be shown on characters during certain cutscenes and story sequences. A new outfit for Serah, based on the white mage from the FINAL FANTASY series. Select Outfits from the main menu to change clothing. New outfits will not be shown on characters during certain cutscenes and story sequences. This pack contains the Coliseum opponent, Omega, and two outfits: Summoner's Garb (Serah) and Battle Attire (Noel). To face Omega, enter the Historia Crux (from Ch. 2) and select "Coliseum -??? AF-". Select Outfits from the main menu to change clothing. New outfits not shown during certain scenes. This item can also be downloaded by redeeming the corresponding promotion code. The promotion code will no longer be valid once the item is purchased. Face the creepy Ultros and his guardian Typhon in the Coliseum! Use the crystals of defeated foes to summon them as allies in battle. The Coliseum appears in the Historia Crux (available from Chapter 2 onwards). To access this content, enter the Historia Crux and select "Coliseum -??? AF-". Face Lightning and Lieutenant Amodar in the Coliseum! Use the crystals of defeated foes to summon them as allies in battle. The Coliseum appears in the Historia Crux (available from Chapter 2 onwards). To access this content, enter the Historia Crux and select "Coliseum -??? AF-". Face PSICOM officer Jihl Nabaat in the Coliseum! Use the crystals of defeated foes to summon them as allies in battle. The Coliseum appears in the Historia Crux (available from Chapter 2 onwards). To access this content, enter the Historia Crux and select "Coliseum -??? AF-". 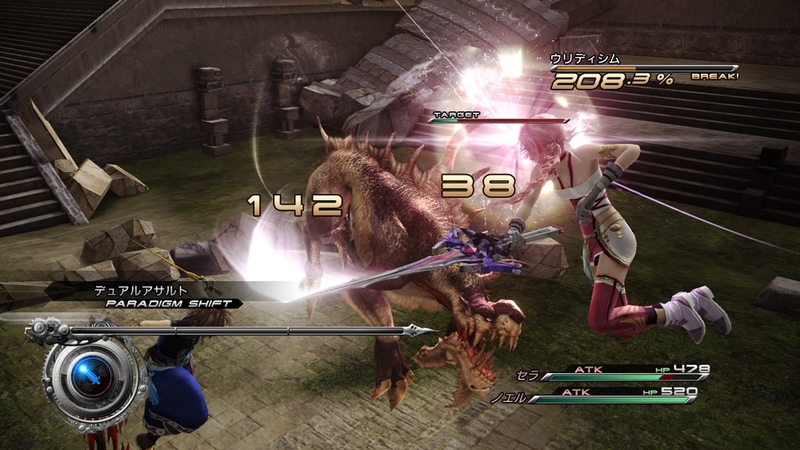 This downloadable content features FINAL FANTASY XIII-2 spoilers. Completing the main game is recommended before playing. Get ready for a new episode in Valhalla! Complete Lightning's exciting story under certain conditions to unlock the fierce warrior cloaked in divine armor as a party member! To access this content, enter the Historia Crux (available from Chapter 2 onwards) and select "Valhalla -??? AF-". A collection of new outfits for Mog, complete with 16 different costumes. Select Outfits from the main menu to change clothing. New outfits will not be shown on characters during certain cutscenes and story sequences. Get ready for a new episode in the Coliseum! Snow is back and ready to rumble. Win battles and get your hands on the crystal to unlock Snow as a party member! To access this content, enter the Historia Crux (available from Chapter 2 onwards) and select "Coliseum -??? AF-". A new outfit for Noel. This garb is said to be a gift of the goddess to those who fight to correct the anomalies of time. Select Outfits from the main menu to change clothing. New outfits will not be shown on characters during certain cutscenes and story sequences. A new outfit for Serah. The perfect costume for soaking up the sun and hanging out with friends on the shores of New Bodhum. Select Outfits from the main menu to change clothing. New outfits will not be shown on characters during certain cutscenes and story sequences. 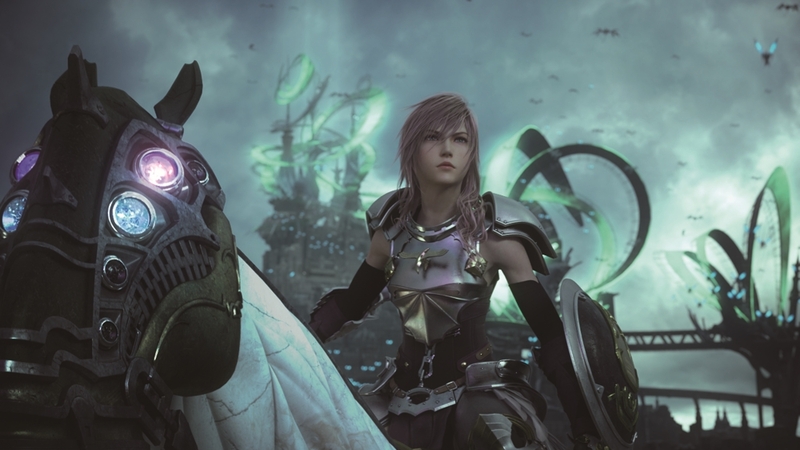 Purchase all FINAL FANTASY XIII-2 Add-ons for a discounted price. Please note the following Add-ons are not included in the bundle: FINAL FANTASY® XIII-2 Noel’s Outfit: N7 Armor, FINAL FANTASY® XIII-2 Serah’s Outfit: N7 Armor, FINAL FANTASY® XIII-2 Noel's Outfit: Assassin's Creed, FINAL FANTASY® XIII-2 Serah’s Outfit: Style and Steel, FINAL FANTASY® XIII-2 Serah's Weapon: Seraphic Wing and FINAL FANTASY® XIII-2 Serah's Weapon: Azrael. Face the void-traveller Gilgamesh in the Coliseum! Use the crystals of defeated foes to summon them as allies in battle. The Coliseum appears in the Historia Crux (available from Chapter 2 onwards). To access this content, enter the Historia Crux and select "Coliseum -??? AF-". A new outfit for Serah. This costume, designed by popular Japanese idol group member Yuko Oshima, was chosen by fan vote. Select Outfits from the main menu to change clothing. New outfits will not be shown on characters during certain cutscenes and story sequences. 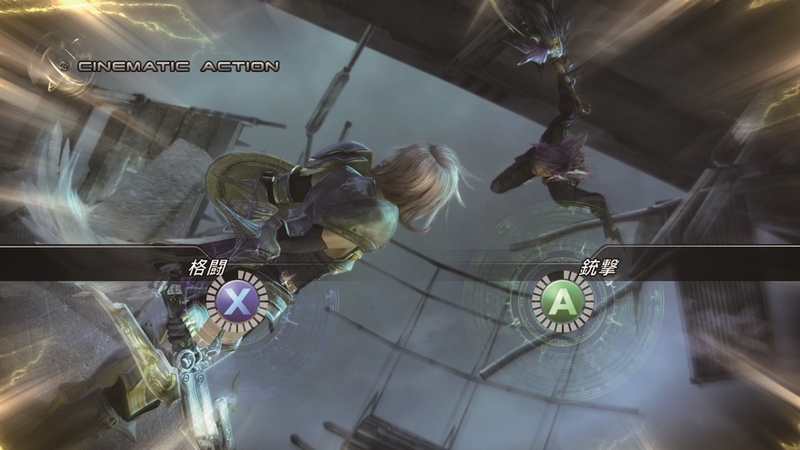 A set of 5 gamer pictures featuring popular FINAL FANTASY XIII-2 characters. A new weapon for Serah to use in FINAL FANTASY XIII-2. Designed with an angel wing motif, this bow restores the wielder's HP as it damages an enemy. Obtainable from Chocolina's Shop. Improved versions of this weapon will also be available. A new weapon for Noel. Nomads used these powerful swords to unleash a rapid flurry of blows. Increases ATB gauge recharge rate. Obtainable from Chocolina's Shop. Improved versions of this weapon will also be available. A new weapon for Serah. Named after the angel of souls, and said to hold the power to alter fate. Increases chain bonuses. Obtainable from Chocolina's Shop. Improved versions of this weapon will also be available. Face the out-of-this-world PuPu in the Coliseum! Use the crystals of defeated foes to summon them as allies in battle. The Coliseum appears in the Historia Crux (available from Chapter 2 onwards). To access this content, enter the Historia Crux and select "Coliseum -??? AF-". A new weapon for Serah. A weapon symbolizing the honor of a distinguished line of warriors. Increases ATB gauge recharge rate. Obtainable from Chocolina's Shop. Improved versions of this weapon will also be available. A new weapon for Noel. A weapon of fey power feared as the blade that will strike down time's master. Increases chain bonuses. Obtainable from Chocolina's Shop. Improved versions of this weapon will also be available. This item can also be downloaded by redeeming the corresponding promotion code. The promotion code will no longer be valid once the item is purchased. 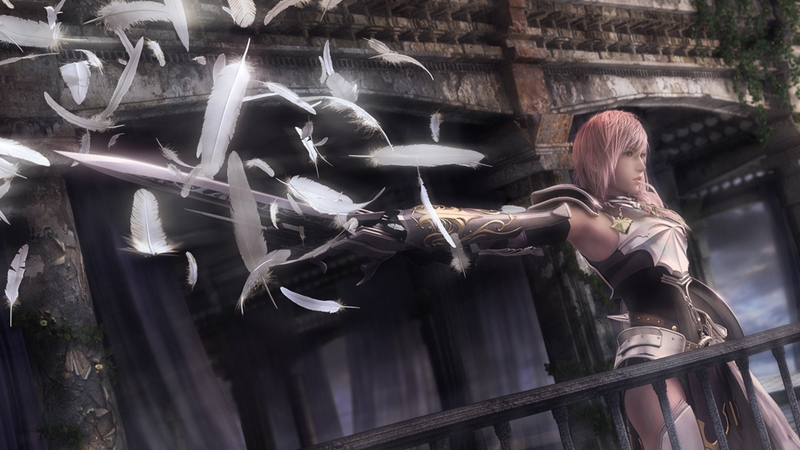 This special trailer reveals more about exclusive content for FINAL FANTASY XIII-2 that is only available on Xbox 360 - the weapon Azrael, used by Serah. See the awesome looks and power of this weapon in action here! Embark on a new epic to find Lightning and reshape fate. Featuring new gameplay systems and cutting-edge visuals and audio, explore a range of possibilities where your choices affect not only your environment, but even shape time and space! It is no longer about facing your destiny. Create your future and change the world! 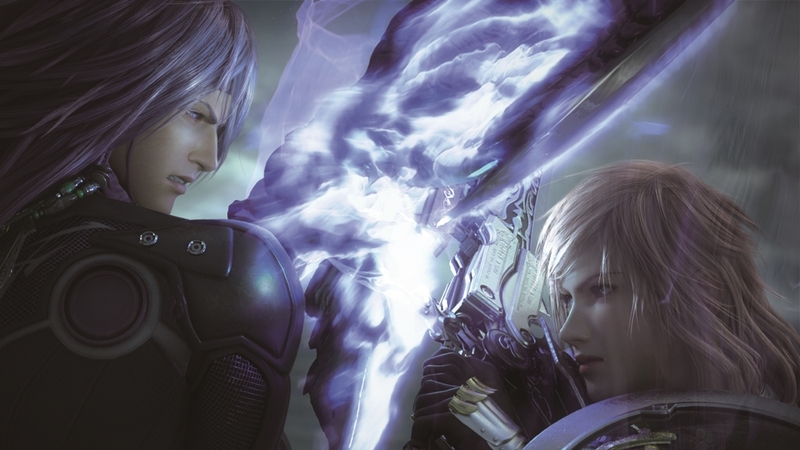 This new trailer for FINAL FANTASY® XIII-2 reveals new information about the storyline and much more. The acclaimed battle system from the original game has been further refined, and gains an even deeper level of gameplay! Serah, Lightning’s younger sister; and Noel, a young man from the future, embark on a new adventure so epic it even transcends time and space!